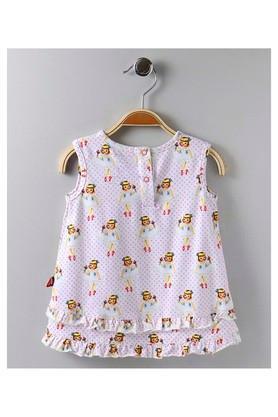 This cute dress from Nino Bambino will look very cute on your little one. Tailored with cotton, it assures to keep her comfortable all day long. 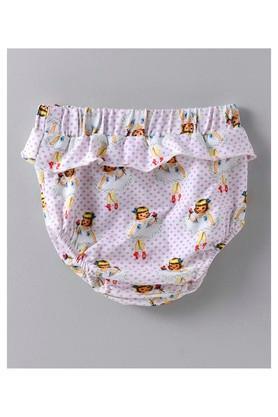 Besides, it comes with a pair of briefs that will allow your daughter to feel comfy from inside. Also, it features a round neck that renders it fashionable. Modernise the clothing collection of your little daughter by adding this trendy sleeveless dress, which also comes with a pair of briefs. It will go pretty well with a pair of ballerinas.